Ms. Clara Lynn Watts, 84, of McCurdy and Watts Drive, Taylorsville, went home to be with the Lord on Monday, October 15, 2018 at Valley Nursing and Rehabilitation Center. The second oldest of 10 children, Clara was born on March 4, 1934 in Alexander County, the daughter of the late Chester Field Watts and Mildred Stokes Watts. Clara attended Happy Plains High School. She worked for many years at WestPoint Stevens in Hickory, where she retired and was a member of Macedonia Baptist Church, Hwy 90 East of Taylorsville. She loved to cook, clean, iron, and listen to gospel music. 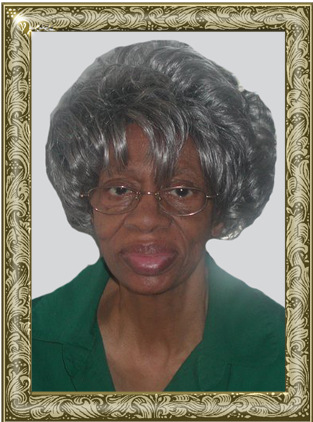 Including her parents, she is united in Heaven with a sister, Nancy W. Carson; a brother, Ernest Hugh Watts; a sister, Rita B. Watts and a special aunt, Marie Dobbins. Those left to honor and cherish Clara’s memory include: three daughters, Latrice W. Parker and husband, Tim, of Hickory, Sharon A. Woodard and husband, Jorge, of Taylorsville, and Karon N. Speaks of Winston-Salem; four sisters, Annette Bruner, Chalma Barker and husband, Phillip, Patricia Watts all of Taylorsville, Sharon Glover of Vista, CA; two brothers, James Watts and wife, Virginia, of Charlotte, Steve Watts and wife, Sue, of Taylorsville; aunts, Rachel Millsaps and Wilma Stokes both of Taylorsville; seven grandchildren; seven great-grandchildren and a host of nieces and nephews. A Celebration Service of her life will be held at 3 p.m., Sunday, October 21, 2018 at Macedonia Baptist Church Hwy 90 East of Taylorsville. Revs. Leroy Brown and Macy Jones will officiate. Burial will follow in the church cemetery. The family will receive friends from 2-2:45 p.m. prior to the service. Memorial donations may be given to The American Breast Cancer Foundation. Adams Funeral Home and cremation services is honored to be serving the Watts Family.